It is a rich gold colour with lots of hops in the aromas. The hops provide a bounty of flavour and a stylish blend of malt and honey. 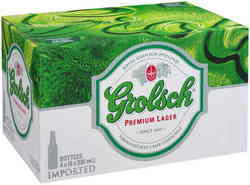 Altogether Grolsch has an abundance of flavours not found in traditional beers, it leaves a smooth and clean lasting finish on the palate.